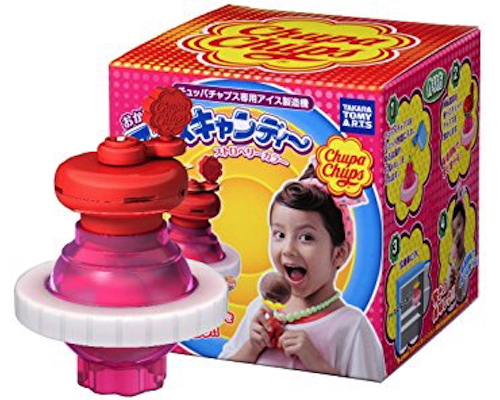 It couldn't have been done anywhere else! 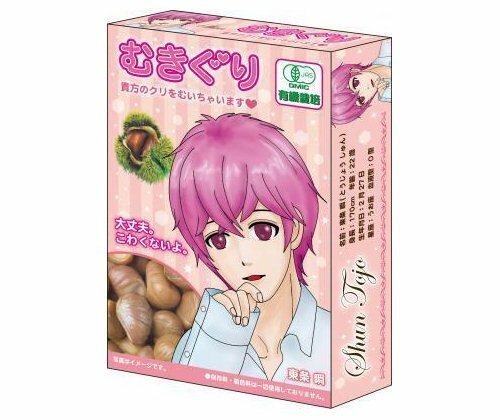 Only in a culture where manga is so prominent could a company make a snack targeting women and the selling point is that the snack has been prepared by the handsome manga characters on the box! 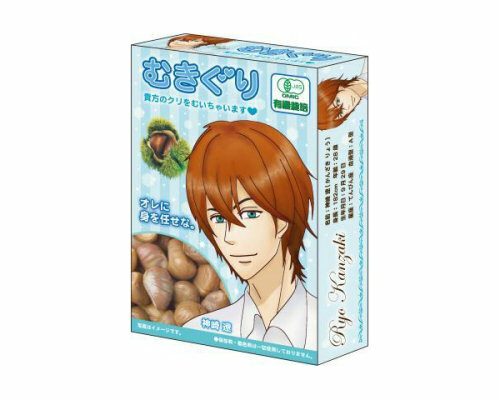 Yet, this is exactly what the Mukiguri Peeled Chestnuts Bishonen Characters Set is: two boxes of sweet chestnuts (a very popular autumn/winter Japanese snack) but peeled by the guys pictured on the packaging, Shun Tojo and Ryo Kanzaki. The two men are bishonen, handsome young men, who look like as if they have jumped out from the pages of a shojo manga (manga aimed at teenaged girls and younger women), which is exactly where their charm lies. Shun is supposed to be the warm and kind one who reassures you that everything is going to be all right, while Ryo is more of a bad boy asking you to let him take care of you. 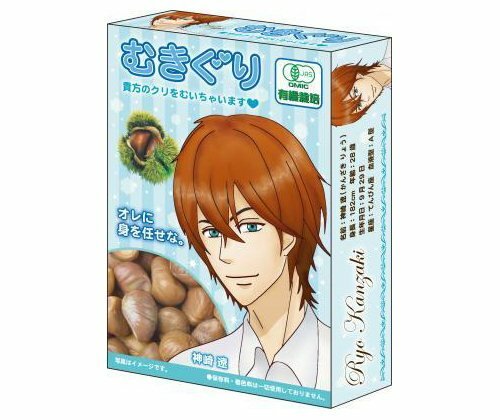 And if the combination of chestnuts and cute guys sounds weird, knowing that the Japanese word for "chestnut" is the same as the word for a part of female genitalia might put things in context and help you see the Mukiguri Chestnuts Set in a whole new light!